Fans - G. A. L. E. S. L.
When it's hot, we might use a fan to cool down. 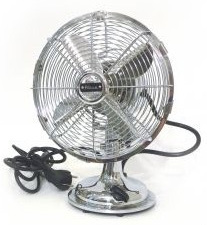 But be careful: if the air from the fan hits your microphone, everyone else will hear a strong noise like wind. 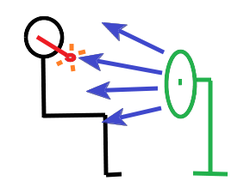 Make sure the air from your fan doesn't hit the mic: point it down or to one side.